SACRAMENTO, CA -- On January 3, 2011, Jerry Brown became Governor of California again, establishing a new record in state politics for having been the youngest and now the oldest governor to serve. This is essentially Brown’s third term as governor in a State that has embraced term limits. The elation among many who wanted to see him back may be short-lived, unless they are closing their eyes to what is about to happen. It is typical for the first 100 days of a governor’s administration to experience a “honeymoon” period, where legislators and the governor get to know one another and support each other on platform issue. But, this go round is different and the man many once referred to as “Governor Moonbeam” may shock Latino supporters and even his own Party. During his inaugural speech in Sacramento, Brown told a crowd of supporters, legislative leaders, and special guests very bluntly that things have to change and that it was going to hurt. "At this stage of my life, I have not come here to embrace delay and denial," said Brown, referring to the annual political game the State’s Legislature has embraced in delivering a timely and balanced state budget. "In this crisis, we simply have to learn to work together, as Californians first, members of a political party second." Working together has been a challenge for past legislatures and governors, who have overtly ignored the voters’ call for change, resulting in pitiful public approval ratings. Now, Brown is taking the first serious shot at needed change through his proposed budget and staffing appointments. The Brown budget features deep cuts into state social programs and higher education, and proposes to extend the 2009 tax for another 5 years. It eliminates “Enterprise Zones,” which could be viewed as a job killer, and transfers many responsibilities to local governments, a concept viewed as suspect by local government leaders. Unfortunately, the group most impacted by these cuts will be Latinos, a topic no statewide elected official is openly discussing yet. Brown’s goal is to move his budget proposal forward with bi-partisan support, a task his predecessor was unable to achieve. So far, most Democrats and Republicans have been shy about embracing the proposal, but real evidence of support won’t appear for another week or so, after special interest groups review and assess the potential benefit or damage. That’s when Brown will learn who will support his vision of getting California economically solvent. The Brown appointments so far have been conservative yet consistent…all Democrats. He is keeping Arnold Schwarzenegger’s Director of Finance, Ana Matosantos, a Puerto Rican Latina whose skill in crafting budgets is difficult to top. He has also appointed some old friends who served in his prior administration, at cabinet level positions. We can’t argue with this philosophy, considering that experienced people can handle program and department realignments and cuts better than any novice. What we can argue as being politically motivated are the appointments he made to the State Board of Education. They all Democrats whose loyalty will favor teacher’s unions, while sacrificing real education innovators like Dr. David Lopez, President of the nation’s only Hispanic university. 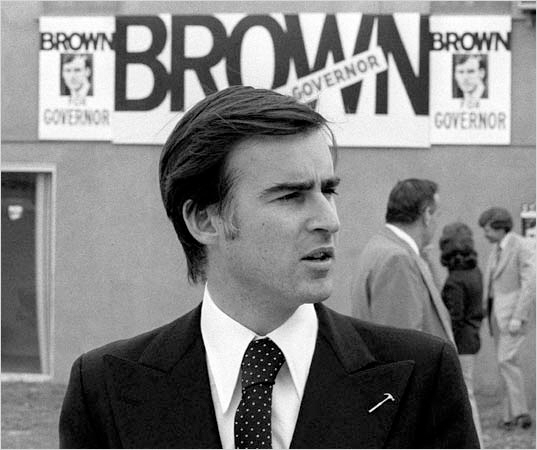 California’s Latino leaders are looking for Brown to repeat his inclusion of Latinos at cabinet level appointments, as he did 35 years ago. Latinos comprise nearly 40 percent of the state’s population and channeled an estimated 86 percent of their vote to Brown in November. While some political pundits saw this as a rejection of the Republican candidate, others saw it as a potential for Latinos to have a presence in the state’s public policy decision-making and implementation arena. However, the scarcity of Latinos in Brown’s transition team and the lack of large representation at his inaugural festivities is cause enough to raise an eyebrow. Couple this with the fact Brown ignored the hundreds of thousands of Latino small business owners while campaigning leads some to believe he is not interested in their issues. Still, Latinos have expressed an interest in serving with this governor and are garnering support to lead the California Environmental Protection Agency, the Business, Transportation and Housing Agency, and to become a member of the California Public Utilities Commission. These are areas where the new economy will be taking hold and Latino inclusion will be essential for the state’s long-term prosperity. Overall and being Brown’s first week in Office allows for some deserved acknowledgement from Latino community leaders. 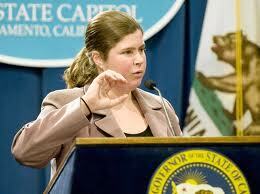 He has appointed former L.A. Mayor Antonio Villaraigosa’s Press Secretary Gil Duran to serve in the same capacity. He appointed Nick Velasquez as Director of External Affairs, who served as senior communications and policy aide to former L.A. City Attorney Rocky Delgadillo. Finally, he appointed Aida Molina to the California State Board of Education, who once served as a Commissioner for the Commission on Teacher Credentialing. At this juncture, it is way too early to challenge Brown’s appointments, but it is not too early to chime in on the adverse impacts the Latino community will feel with his proposed budget plan. 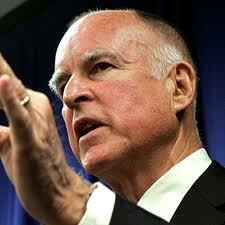 Unless of course the elation of having Jerry Brown back as Governor blinds Latinos from seeing those impacts. Firstly, thank you for the commentary. Secondly, Latinos' have been feeling pain long before Brown was ever born. I do seek a consensus on the utmost important issues that effect-affect me as a Latino, et al., and not seeking a "compromise." Let us not seek to blame the person, but to blame the process. Together we stand, divided we fall.